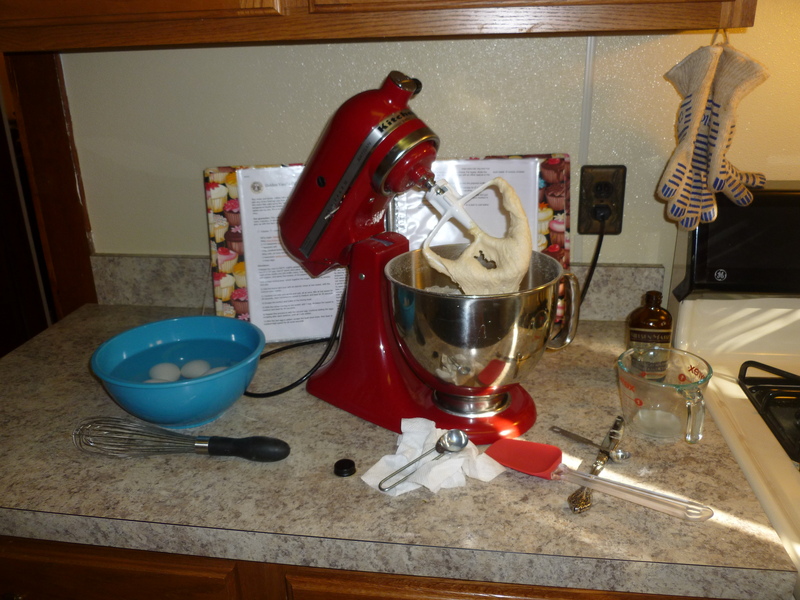 Baking isn’t always difficult, especially when it comes to cakes! I have found that sometimes the simplest of recipes usually results in the most delicious cakes. I found this Golden Vanilla Cake on King Arthur Flour and was amazed how such a simple cake made such a moist, delicious cake that is perfect for any occasion. It is light, but dense enough that people often mistake it for a pound cake. 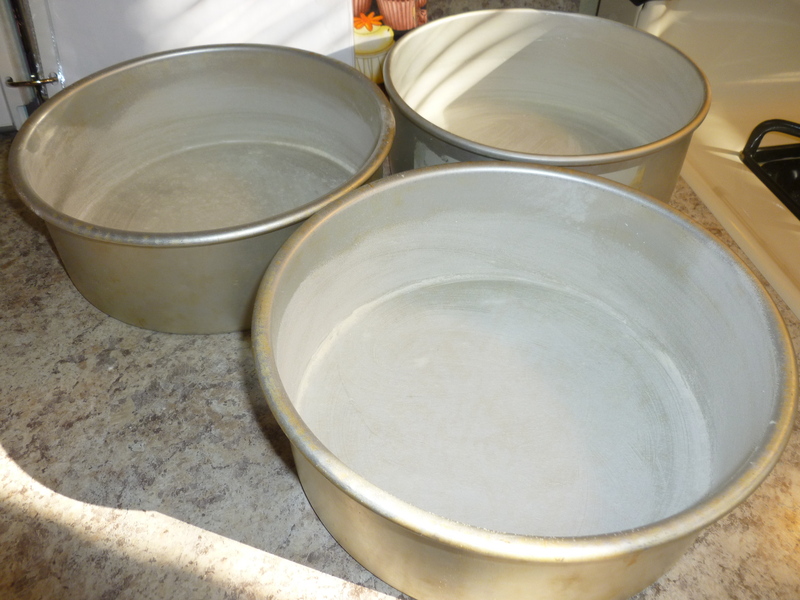 But it has way less butter, sugar and flour than a pound cake, essentially saving you money and trouble in pairing down your huge pound cake recipe for your 8″ pans. 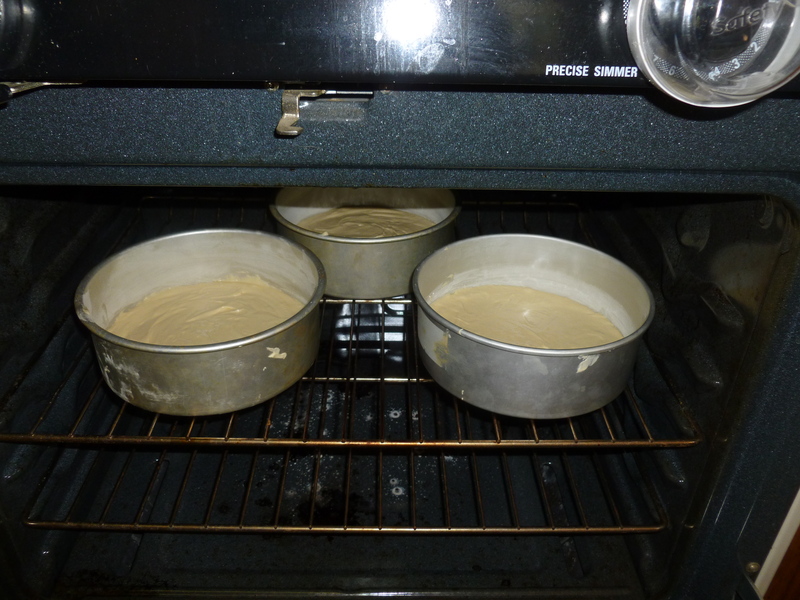 First, prepare your cake boards by greasing and flouring lightly. 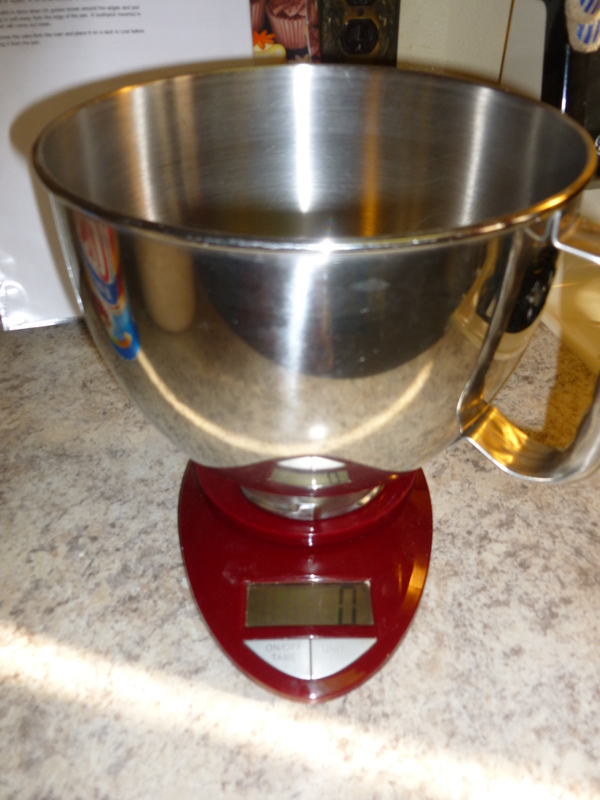 Next, in your mixing bowl measure or weigh your flour, sugar, salt, and baking powder. I prefer weighing for consistency purposes. I use an EatSmart scale that I found for $25 on amazon.com. 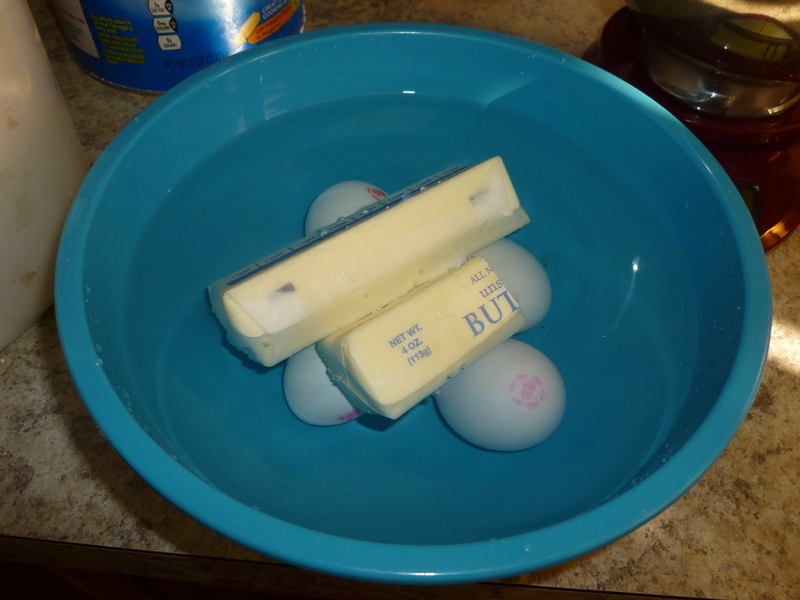 Get your eggs room temperature and your already-room temperature butter super soft by putting into a bowl of warm water. 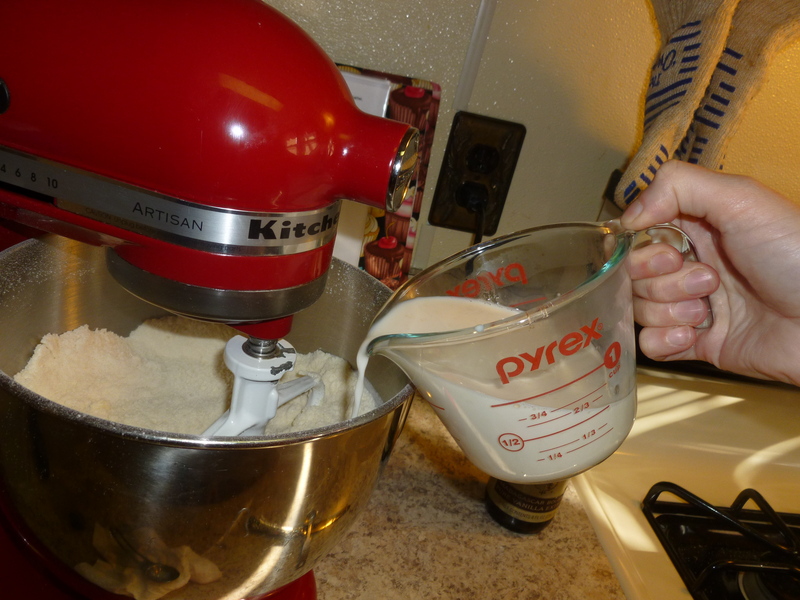 Whisk all your ingredients together nicely. 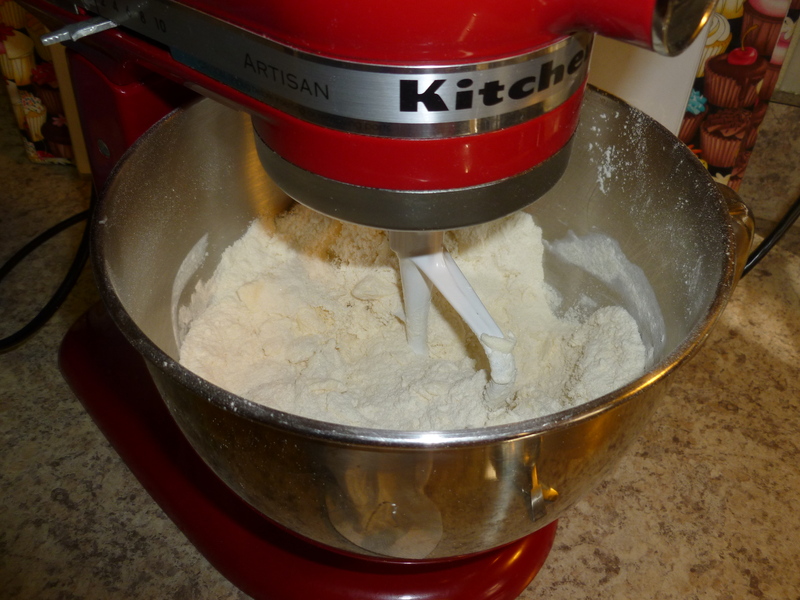 This incorporates air into your flour and ensures that everything is evenly incorporated. 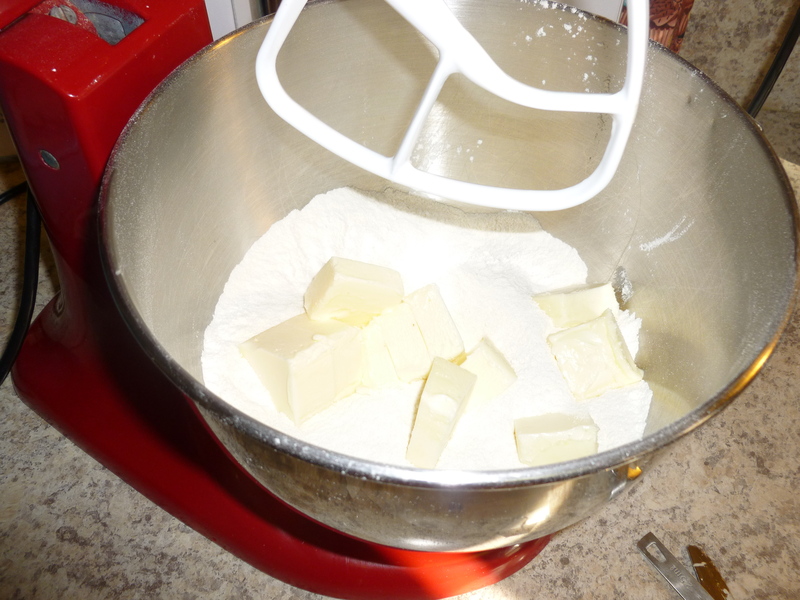 Chop up your softened butter, throw it into the bowl and mix well, until it looks sandy. Give your bowl a scrape on all sides and at the bottom. It gets easier and easier from here! Next, warm your milk in the microwave for forty seconds to a minute. 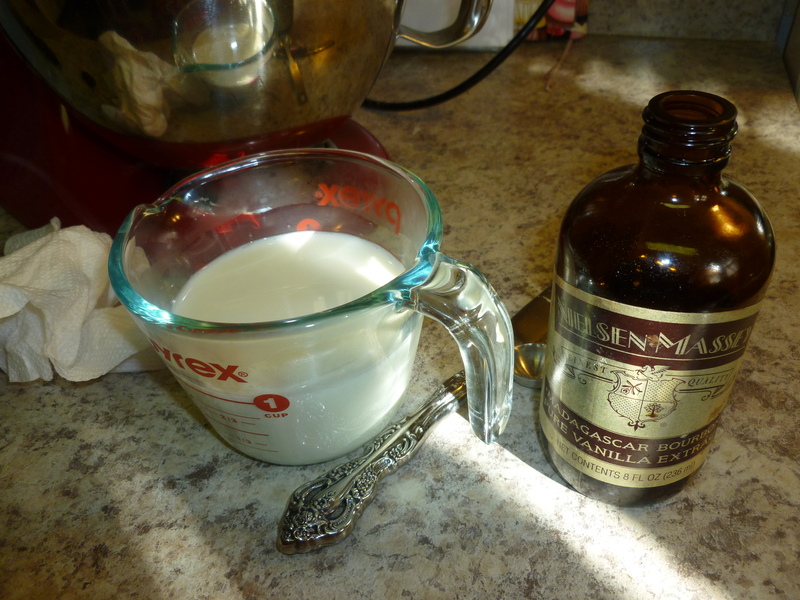 Add your vanilla to your warmed milk and pour all at once into your mixer. 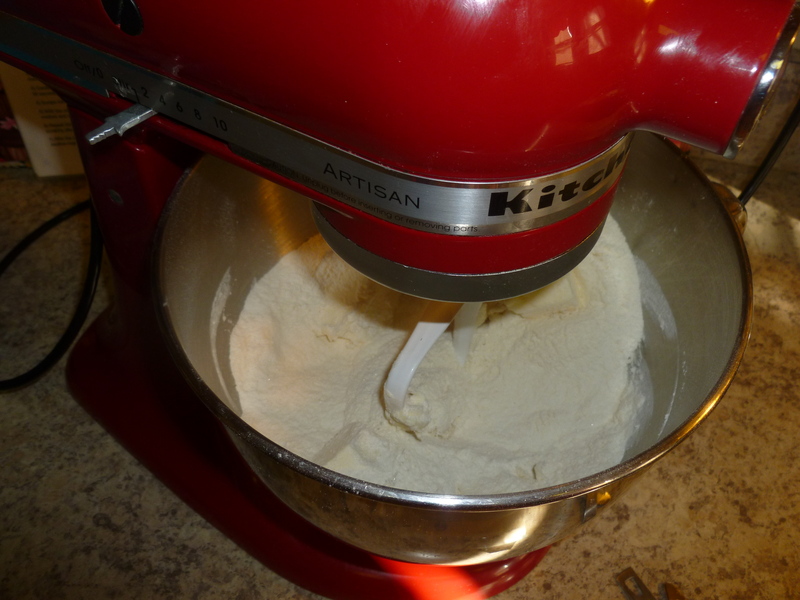 Mix for about 30 seconds to a minute and do a good baker’s scrape. After that, you want to add your eggs one at a time. 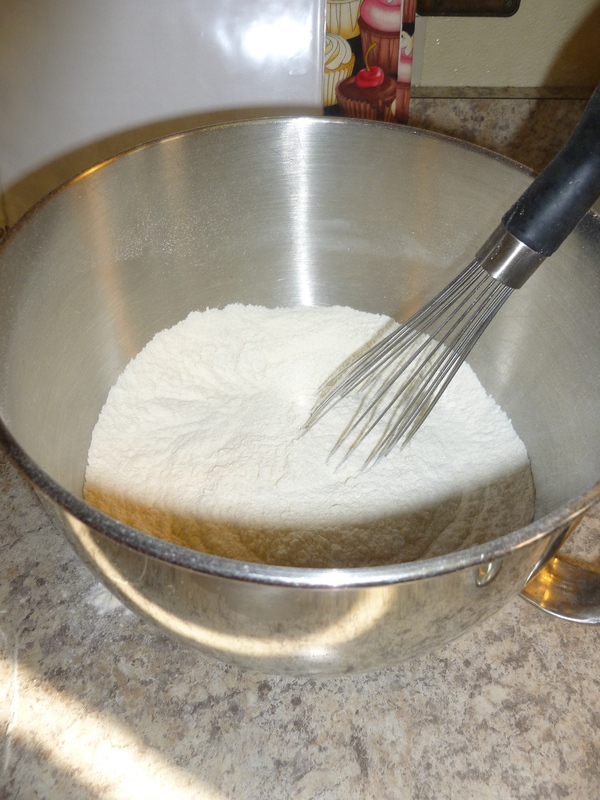 Mix on a medium speed for about 30 seconds, give a scrape, then add your next egg. Repeat until all your eggs are incorporated and you’re DONE! 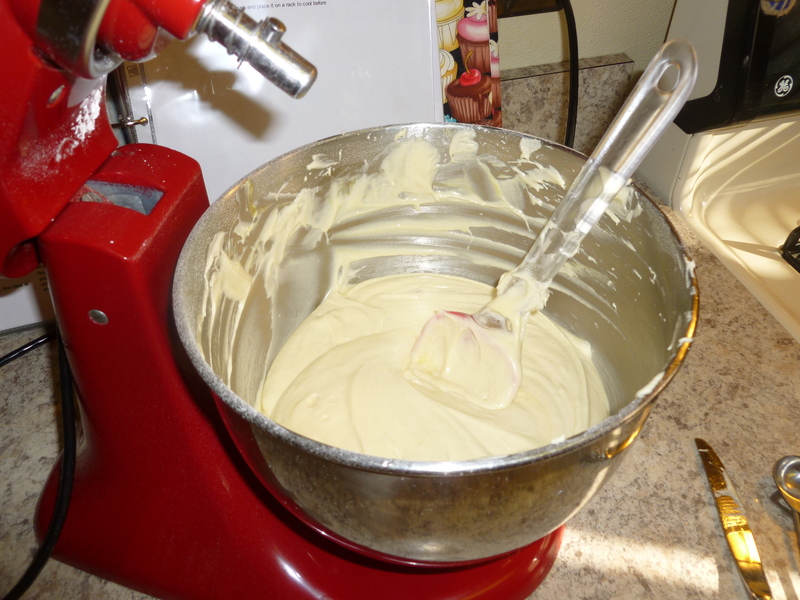 Try not to taste the batter … but if you do, you’ll be surprised at how delicious it is! 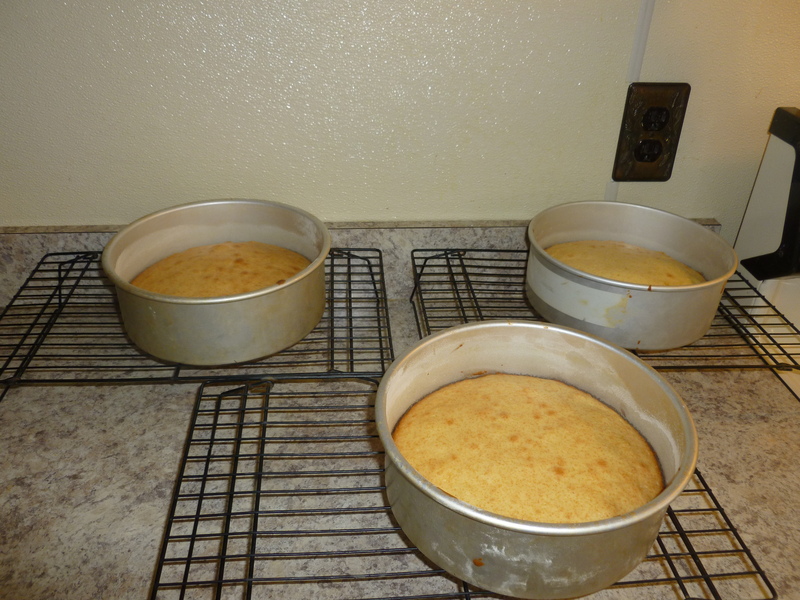 Bake your cakes for about 35 minutes or until they’re golden brown, are pulling away from the edges and a toothpick in the center comes out clean. 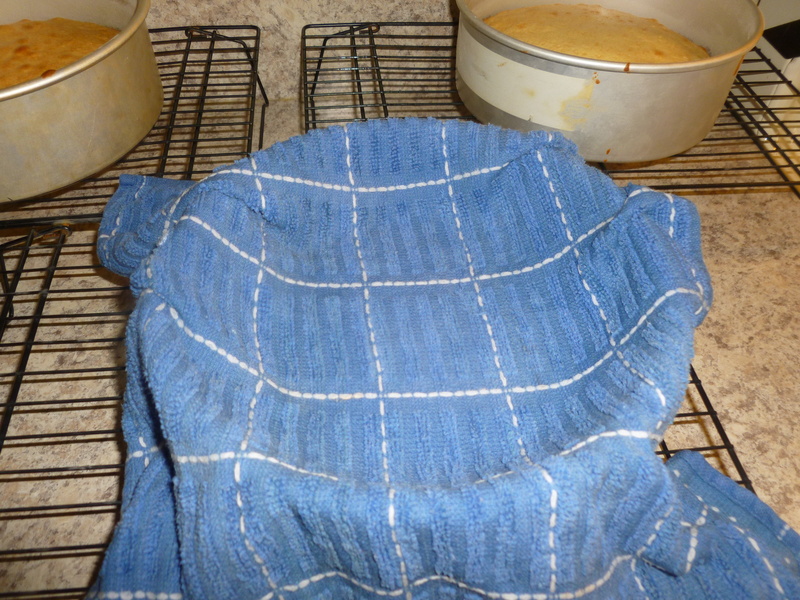 To get a perfectly flat top to my cakes, I like to take a damp towel and lightly drape it over my pan and gently press down the dome. This has to be done immediately after the cake is taken out of the oven. Take care not to burn your precious hands! 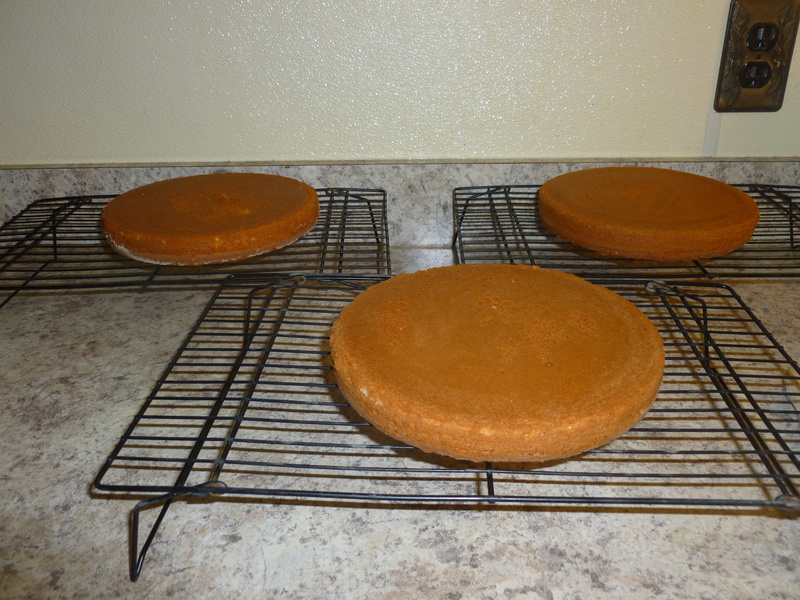 After ten minutes or so, turn your cakes out onto wire racks. Look how beautiful and perfect they look! This is very exciting and rewarding stuff to me. 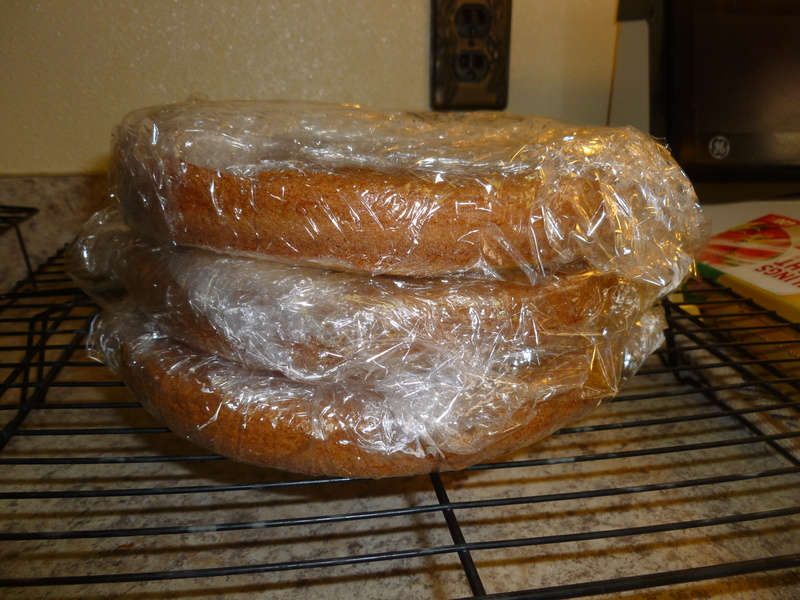 For my big custom cakes, I have to bake ahead of time and put it in the freezer. 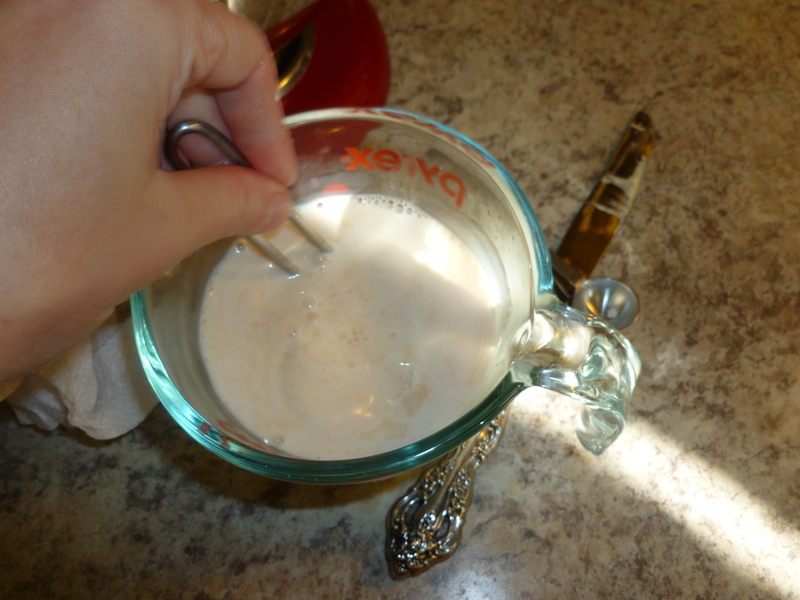 I know that sounds hokey, but it helps to lock in the moisture and makes the cake even easier to handle. 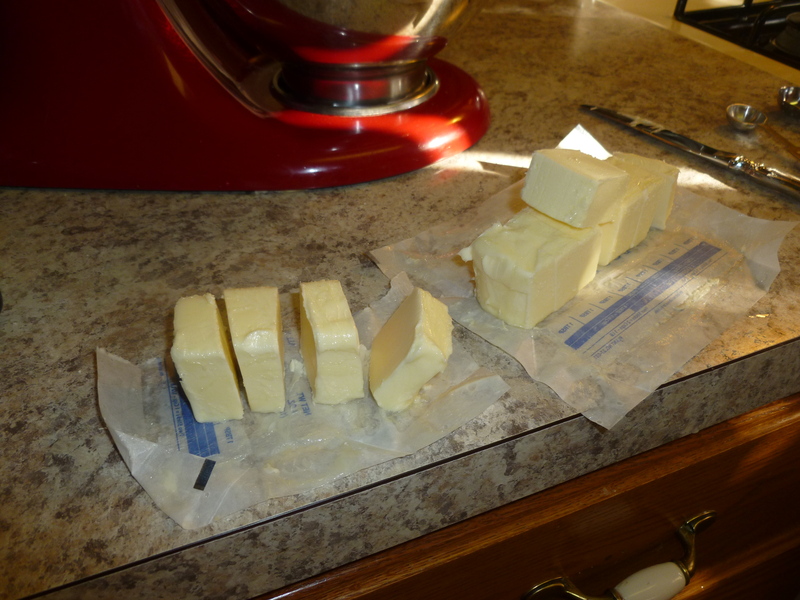 After it has cooled slightly, I double wrap in Seran Wrap and then also wrap it in aluminum foil. 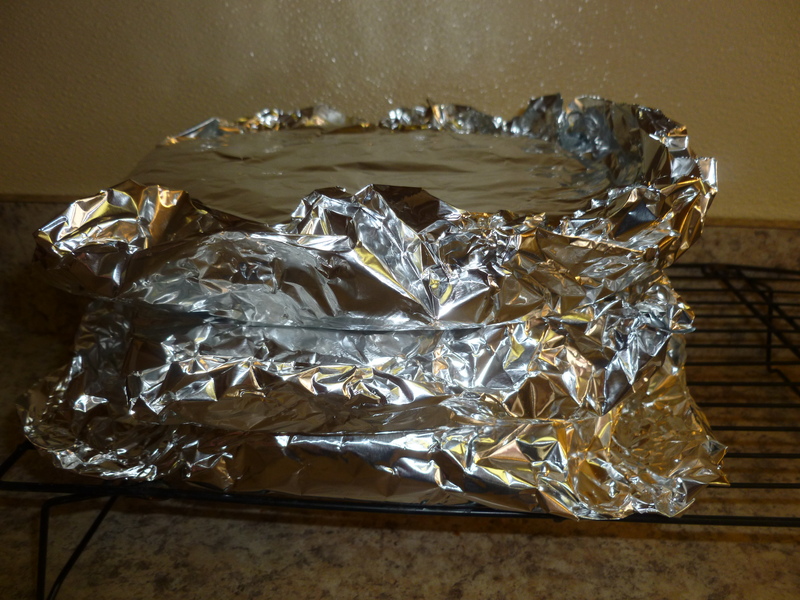 The foil helps keep air out of the plastic wrap and avoid freezer burn. NOTES: I have also successfully made this as a two-layer cake. You just have to bake it a bit longer. I have also made it in my 6″ pans and half of my Wilton ball pan. 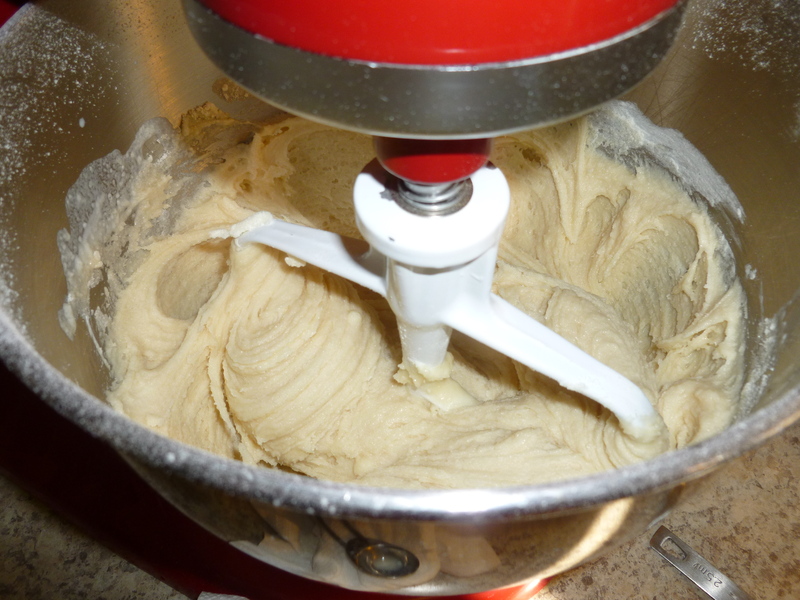 But then there is usually extra batter (which I use for cupcakes!). To make it in a 10″ pan, put ALL six cups into the pan. Put a flower nail in the center. Bake at 325 degrees for about 55 minutes to an hour, depending on your oven.